A Swedish brand that produces athletic apparel for both professionals and amateurs. Craft's products are characterized by materials with maximum moisture control and heat retention properties, stylish Nordic design, ultimate ergonomics and comfort. 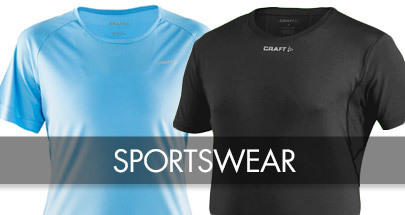 Craft provides functional training apparel, jackets and trousers for leisure and sports as well as specialized clothing for cycling, skiing and running. The brand is developed and used by athletes worldwide.